The Texan by Kenyon is the signature grill made by Kenyon. It is twice the size of its brothers and sisters and has two separate heating controls to perfectly cook at two different temperatures at once. Each side has its own heating element as well to ensure precision cooking every time. 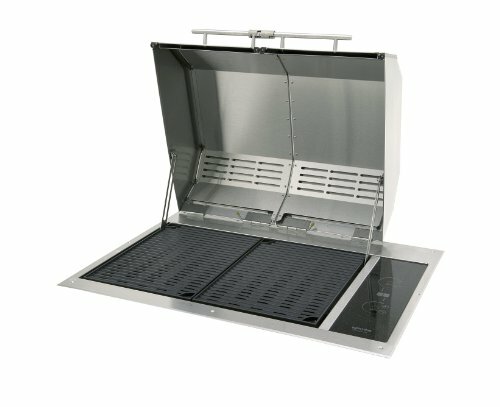 The split lid design also allows for you to tend to food on one side of the grill at a time to save the rest other side from losing any heat. Just like with all Kenyon Grills, clean up cannot be any simpler- simply remove pins from lid and place in dishwasher along with grates.